The blockbuster you don’t want to miss! Harvey Longsons has a wide range of caravans for sale in all areas of the UK including caravans and lodges at Park Holidays resort. The Sales Director at Park Holidays has instructed to cut the price of EVERY holiday home across all 29 parks! This star-studded offer will blow you away! Now is the best time to purchase your static caravan! With price cuts of £500 to £85,000 and up to three years free pitch fees on selected brand new and ex-display holiday home models and luxury lodges…don’t miss your piece of the action! You can save up to £35,000 on caravan holiday homes or save up to £85,000 on fabulous luxury lodges! 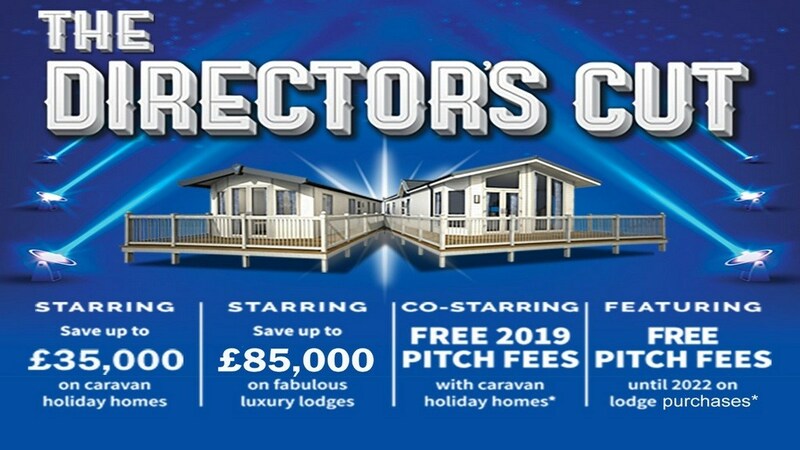 Also in the Directors Cut is an offer of FREE 2019 pitch fees with static caravan holiday homes and FREE pitch fees until 2022 on luxury holiday lodges!